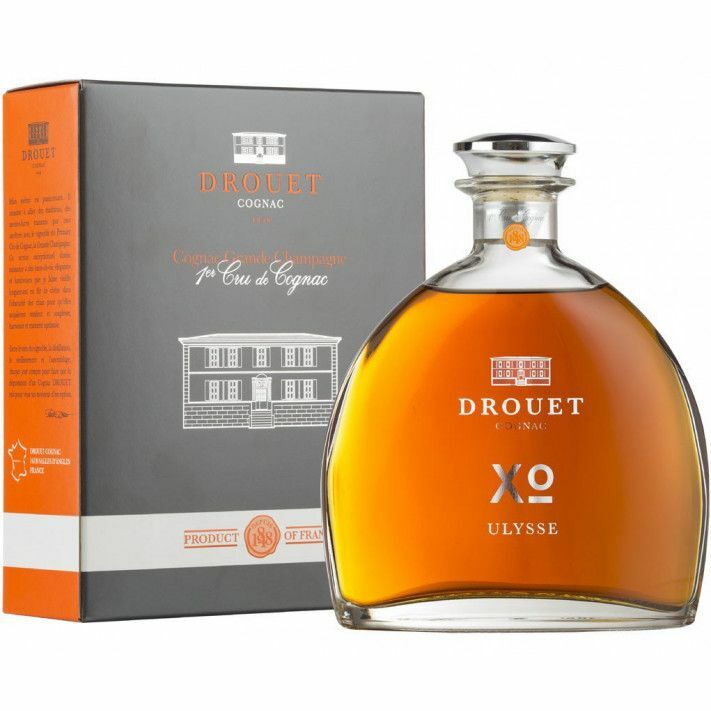 Drouet & Fils XO Ulysse Cognac is an XO created from a blend of solely Grande Champagne eaux-de-vies. it's presented in an elegant, clean lined decanter that will grace the finest of tables. Aroma : a complexity of fragrances: hazelnut, vanilla and "rancio" (typical aroma of old ognacs which develops after 20 years' ageing). This creation is the work of several generations of winegrowers. The Ulysse cuvée pays tribute to Patrick Drouet's great grandfather.